Did you know that you can grow your plants in a grow tent indoors? This method is becoming more and more popular as we speak. That’s because it’s easy to set up, it’s small enough to fit in most homes, and it also comes in multiple sizes and options. If you’ve been looking for a new way to grow plants, a grow tent might be worth looking into. In today’s article, we’ll teach you how to build a grow tent at home. Then, we’ll provide you with 5 grow tent options to buy. For this grow tent (which fits small to medium plants), you’re going to need eight 90-degree PVC turns with the threaded side out, eight PVC threaded-push adapters, and two PVC T connectors, all half an inch in size. Then, you’ll also need four 2 feet PVC pipes, four 1.5 feet pipes, four 9 inch pipes, and three 24 inch ones. Finally, you should also buy a 20 square feet black and white poly film, a hacksaw, some Velcro strips, and a roll of black duct tape. The first thing you have to do to build this grow tent is put the pipes together. First, you’ll connect the threaded adaptors to the eight 90 degree turns. Then, you’ll connect the 90-degree angle joints to alternating 2 feet and 1.5 feet PVC lengths. This will join the top and bottom frame. The next step involves building the rear pillars and supports. You will do this by attaching 2×9 inch lengths to the T fitting. At this point, there’s only one step left and the skeleton of your grow tent is ready. That step is to place a 24-inch length between the two T fittings. This will create an “H” that you will connect to the rear 90 degree connectors found on the wider side. Since you have two remaining 24-inch sections, you’ll have to attach them to the front of the bottom frame. Finally, create the bottom frame’s mirror image and you’re done. The first parts of the skeleton you’ll have to cover with the poly film are its sides. For this, you’ll need a 28×64 inch piece of material. For covering the bottom, back, top, and front of the skeleton (precisely in this order), you’ll need to cut a 25×90 inch piece of poly that you basically wrap around the skeleton. Just make sure you don’t attach the front piece. You should leave this one like a flap that you’re going to use to reach your plants. That’s where the Velcro strips come in. Attach them to the bottom corners of the flap. The final step of this grow tent DIY implies adding ventilation to your tent. For this purpose, you’ll have to cut a hole in the side of the tent and use whatever fan you want. A muffin fan would be perfect, but other types of fans also work, as long as they’re small. Also, regarding the size of the grow tent, you can always build a larger one by changing the dimensions of the materials you use. No matter the size, the process remains the same. 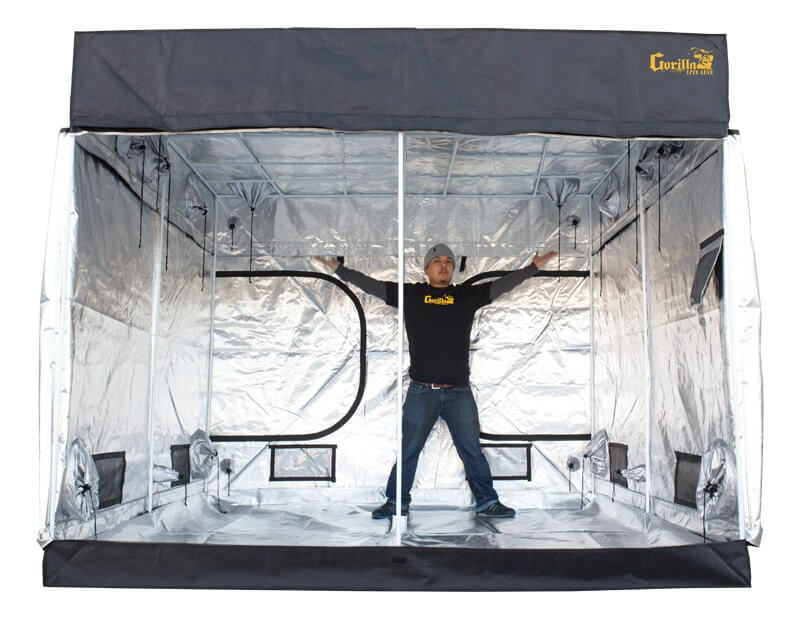 This is one of the most impressive grow tents you can find online. It measures 96″x48″x80″, so it’s quite large. Its mylar lining provides it with an incredible reflective capacity. This ensures more light for your plants. The white interior also boosts the efficiency of any lighting setup you might decide on for your grow tent. The tent itself is extremely sturdy. The canvas that it’s made of is extra thick, so you don’t have to worry about it ripping. It’s double stitched and tear proof, and it also prevents any light from reaching your plants, which means you get to control the environment in which you grow them. No pests will get into this grow tent and no odors will get out. The interlocking frame is 100 percent steel, and the surface is made of PE material, which is environmentally friendly and non-toxic. On top of all of that, this grow tent is extremely easy to install. You don’t need any prior experience or tools. The last two features we’d like to mention are the floor tray that makes growing plants inside a piece of cake and the observation window that allows you to check on your plants without having to go inside the grow tent. This tent is light reflective as well, and as tear-proof as the previous one we’ve discussed. It’s made of 600D mylar lining, it has heavy duty zippers, and it blocks outside light perfectly. The frame is powder coated steel, ensuring a sturdy growing environment for your plants. Not only that, but you can grow your plants in a clean and safe environment due to the removable reflective waterproof floor pan that you can take out and clean very easily. 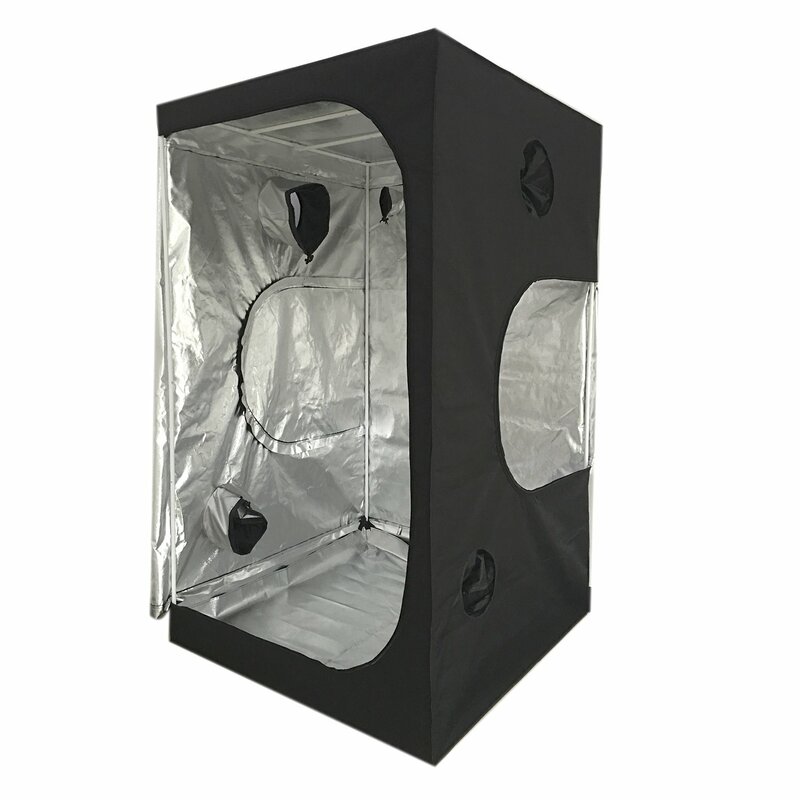 This grow tent is smaller than the previous one, only measuring 48″x48“x80″, but it’s still large enough to provide you with a lot of choices in terms of which plants to grow in it. 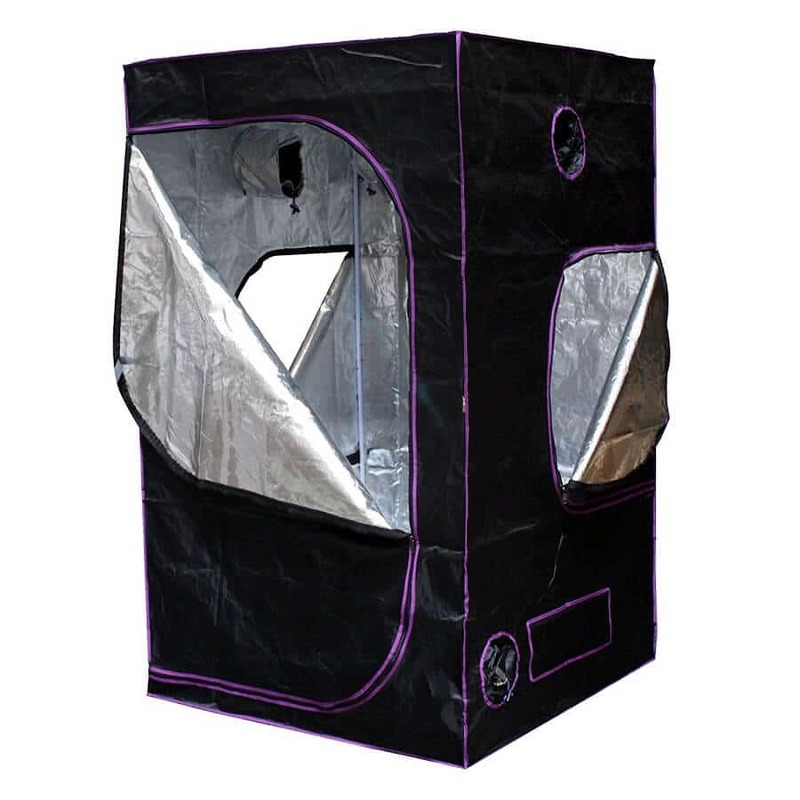 In the package you’ll receive if you order this tent, you’ll also find the removable floor tray, an instructional pamphlet that will tell you everything there is to know about growing plants in this grow tent, and 3 filter straps, which we think are a thoughtful addition. The Apollo Horticulture grow tent is one of the most secure and stable grow tents you could buy. 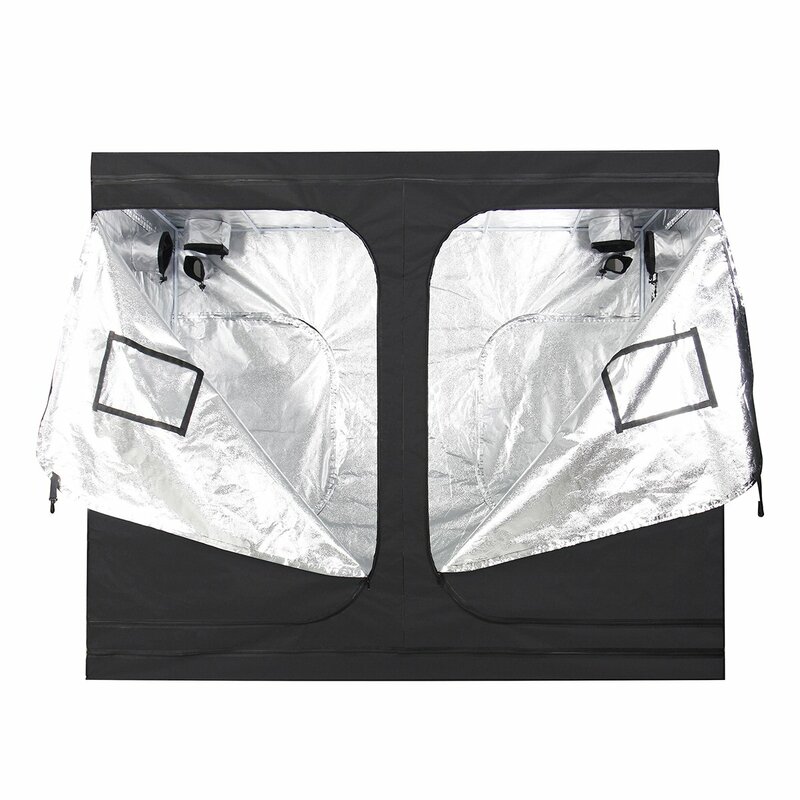 Its thick material and metal poles guarantee to keep your plants safe and healthy, while the lining reflects the light inside the tent for maximum lighting capacity. Not only does the interior increase the intensity of your lighting system, but it also preserves a steady temperature for your plants, ensuring they won’t suffer due to low temperatures. The instructional pamphlet you’ll find in the package explains how to set up the tent in just a few easy steps. You also get a 30-day money back warranty, in case you change your mind or you’re not satisfied with the quality of the product. 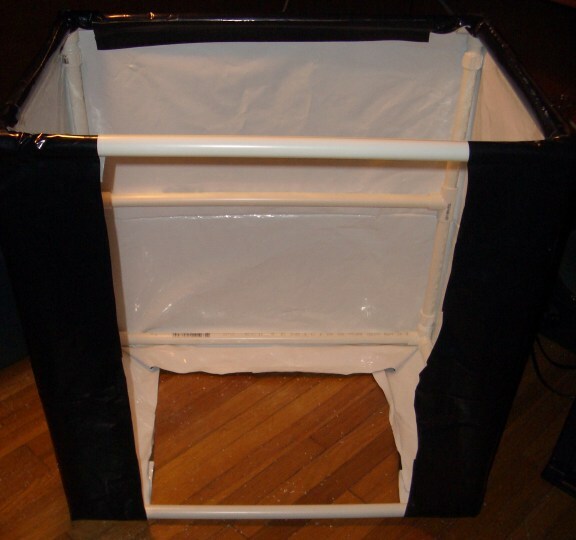 You can purchase this 48”x48”x80” grow tent right here. 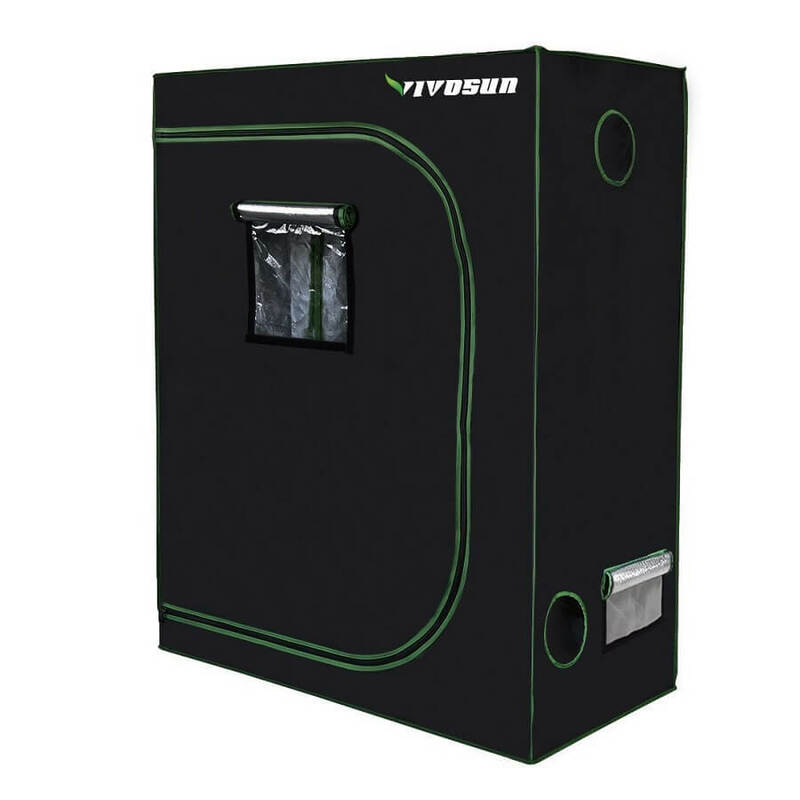 Slightly different from the 3 grow tents we’ve talked about up until this point, the VIVOSUN one allows even less light to get in. Despite that, it still comes with an observation window for your comfort. There’s also a floor tray inside that makes your job even easier. Plus, the 95%-reflective mylar lining ensures your power configuration will run at its best. Something that drew our attention to this grow tent is the fact that it pays attention to details. For example, it has an extremely sturdy metal zipper, since having the zipper break would be extremely inconvenient for the user. Also, you can feel the quality of the material with just one touch. Its texture and pitch black shade guarantee an effective growing environment. No pests will get in, and your plants will be kept at a warm temperature and under appropriate lighting. If you think this would be a great tent for your gardening projects, order it here. The last grow tent we want to mention in today’s guide comes from LAGarden. This one is also a little bit different from the rest. For instance, you’ll find that the exterior material is an oxford cloth. Don’t worry, it’s still lightproof and quite thick. The interior material is still mylar, but this time a waterproof diamond one. It’s 100 percent reflective and resistant, so your plants will grow under the best of conditions. 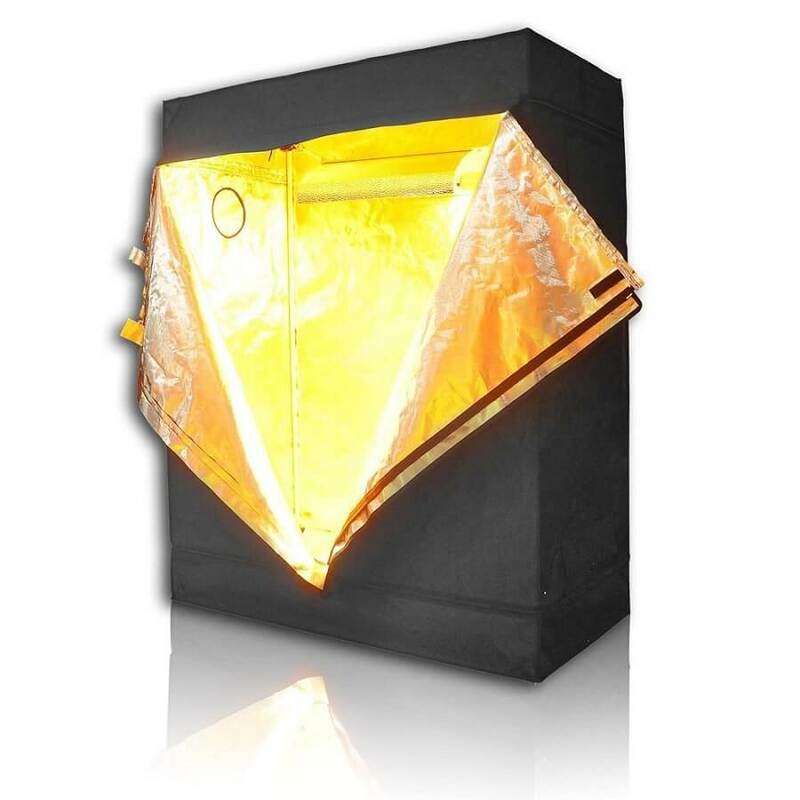 In terms of the frame of this grow tent, you should know that it’s made of aluminum. This makes it extremely sturdy. We must also mention that all the materials used for the manufacturing of this tent are non-toxic, which is great news not only for you but for your plants as well. You can buy this 48″x24″x60″ grow tent here. Apart from growing plants in containers and in portable greenhouses, grow tents are a popular gardening strategy. They’re perfect for people who want to make sure their plants have their own separate growing environment that fulfills all of the criteria required of a gardening space. As we hope we’ve proved in today’s guide, grow tents are able to provide your plants with impeccable lighting, steady temperatures, a clean environment, and a pest-free location. If you want to buy your own grow tent, we hope at least one of the options above seems like the right one for you. If you’re a craftier person and enjoy gardening DIYs, you can always follow the steps above and build your own grow tent in just a matter of hours. Whatever you decide on, a grow tent at home is a must-have for people whose passion is gardening.